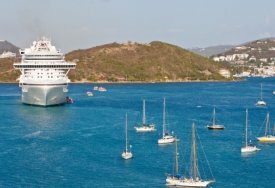 Become a Premium Member of CruiseJobFinder and get these great benefits! We have compiled the absolute best set of resources to help you secure your job! What would take you days and days to find on your own, we have compiled into one place! All the latest job openings! New positions DAILY. Profiles of every major employer with application info, pay rates, and everything else you would want or need in order to pursue a job! Insider tips that will set you apart from the other applicants. THERE'S MORE - CruiseJobFinder Sets You Up To Succeed! We tell you exactly what to expect on the job and help you zero in on the best employer for your needs. Using dozens and dozens of exclusive Q&A interviews, you'll get a precise picture of the jobs and how to get one yourself! The information compiled in the Members Section of CruiseJobFinder has been used for many years by informed job seekers. Also, hundreds of savvy employees in the industries we cover have used this website as a tool. Why? We began hard-core research on cruise ship, yacht, land tour, and beach resort employment in 1991 (that's a long time ago!). Over the years our team has conducted hundreds of interviews with industry employees and human resource managers - so we know what we're talking about! Subscribe to the Members Section, and you'll get the whole scoop. You'll not only be prepared for your foray at sea (or at a resort), but you'll also be able to impress employers with your extensive knowledge, which will give you a distinct advantage during interviews. Become a Member of CruiseJobFinder and Start Your Cruise Ship, Land Tour, and Beach Resort Job Search Today! Instant access to our exclusive list of Featured Jobs. Many of which are not listed anywhere else or are hard to find! Detailed profiles of hundreds of cruise lines, cruise ship concessionaires, and official staffing partners worldwide. Includes links to online applications, job related videos, and detailed how-to-apply instructions. 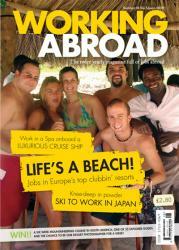 Profiles of the top resorts, yacht crewing companies, and tour guide employers. List of upcoming job fairs and audition dates for singers, dancers, and musicians! A personal profile and resume uploading, which helps employers find you. Proven strategies for getting employment with cruise lines and their hiring partners, on mega yachts, for land tour companies, and at destination beach resorts around the world. Lots of employment videos, photos, maps and graphics. Memberships are available for as little as $4.16 per month. Yes, you can get a great start on landing the job of your dreams for not much more than the price of a cup of coffee!